I was commissioned by an existing client to create a dining table for her daughter. They wanted to use reclaimed materials, so I looked around and came across these joists that were pulled out of a 1920's home and were set to be thrown away. 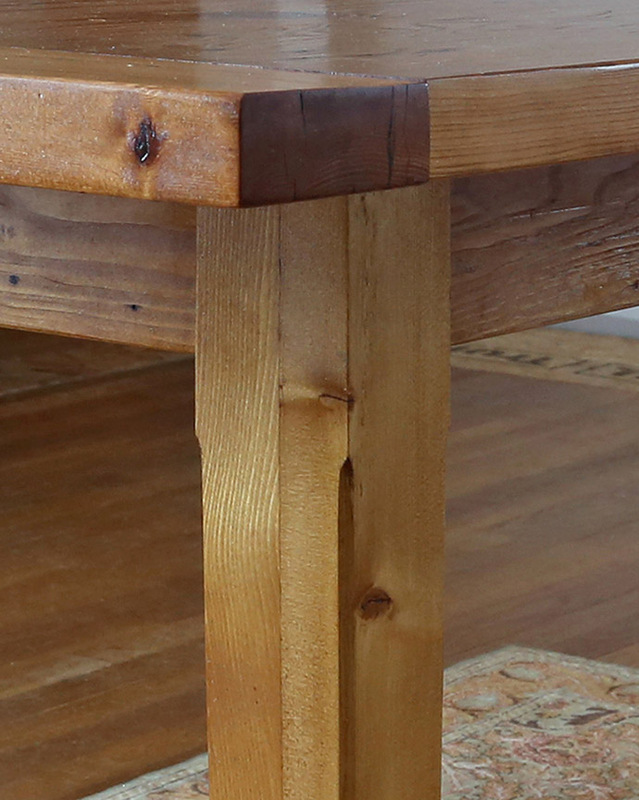 After removing many, many nails and cleaning up the original boards, I turned them into this farmhouse table. 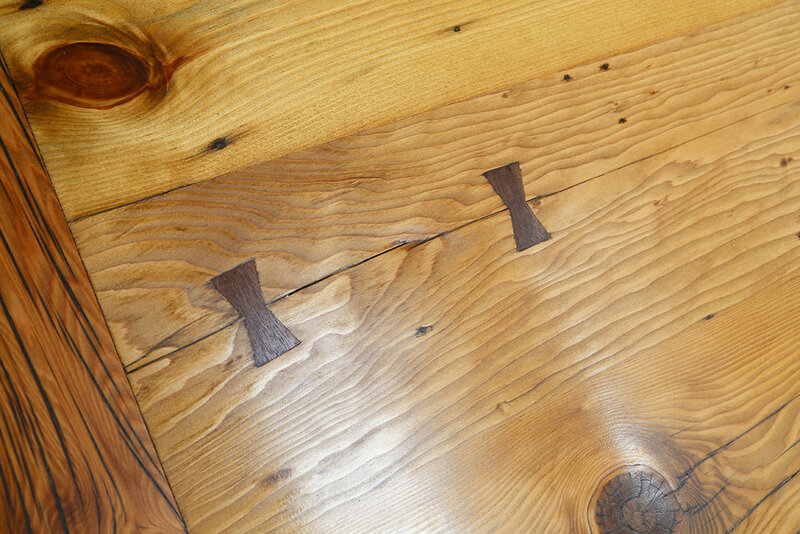 Measuring approximately 38" across and 78" long, the table seats 6 comfortably. The breadboard ends on the table help to keep the tabletop flat while still allowing it to expand and contract with seasonal changes. I fabricated and installed these black walnut butterfly keys, also known as Dutchmen, to secure a crack in one of the boards and keep it from growing. A slight taper to the legs gives them a little visual interest and reduces the visual weight of the legs so they don't overwhelm the overall design. I chamfered the corners of the legs for an additional detail. My clients (the recipient's parents) delivered the table to their daughter in Massachusetts and sent me this picture of her and her fiancé with the table in its new home.